But do you know why blonde women use purple shampoos? That’s to prevent their hair from turning brassy. And most brown-headed women face the same problem, but the sad truth is that they can’t use purple shampoos as they won’t be so effective on brown hair. Purple shampoos may not be meant for you but there is something else that is. And that is blue shampoos! These are the shampoos that stop your hair from turning into an unwanted hue – red or orange. 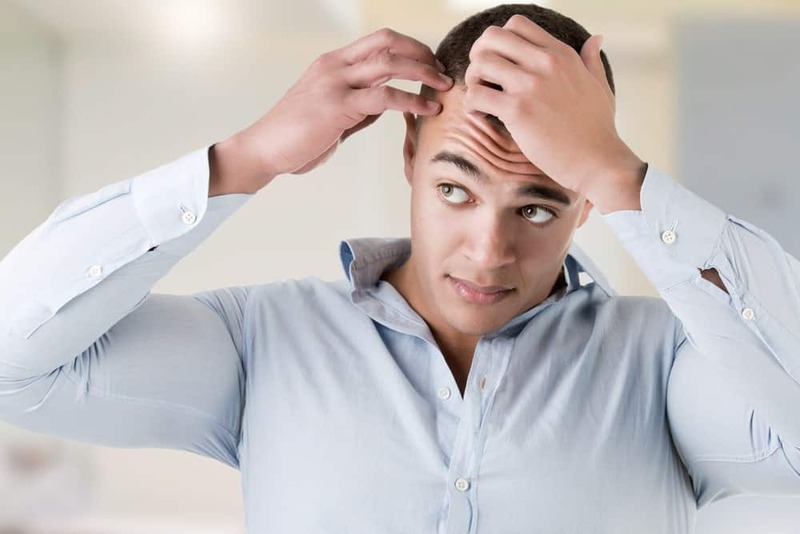 If you are envious of those Instagram models that flaunt their luscious brown locks, then don’t bother because we know exactly know how you can do so. 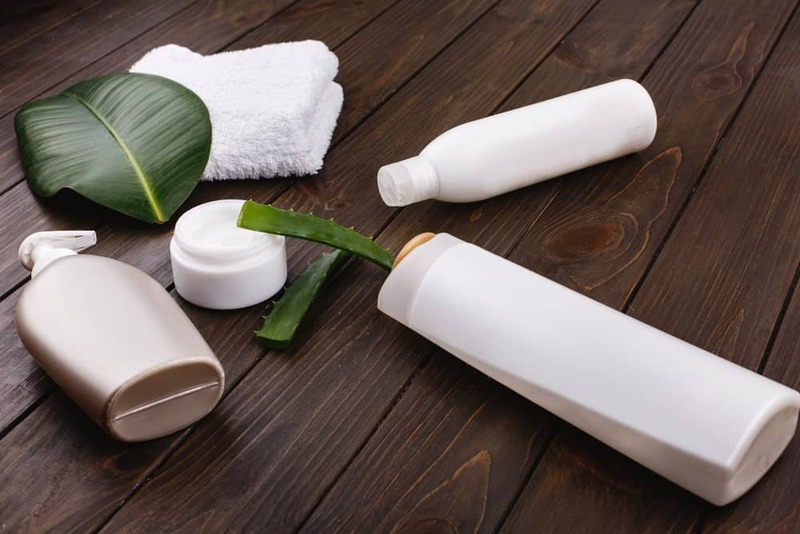 Here are the top 10 shampoo options for you that will turn you into an Instagram diva yourself. Start using them and you won’t feel resentful toward other brunettes! 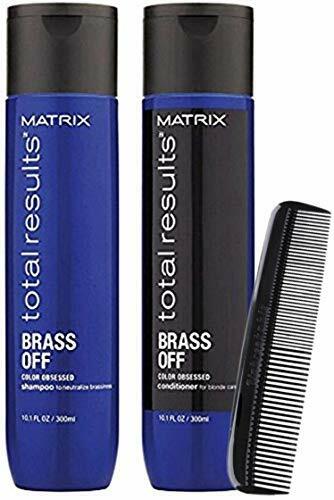 Matrix is popular for having an excellent range of salon-quality shampoos and this one is genuine proof, which all brunettes simply adore. 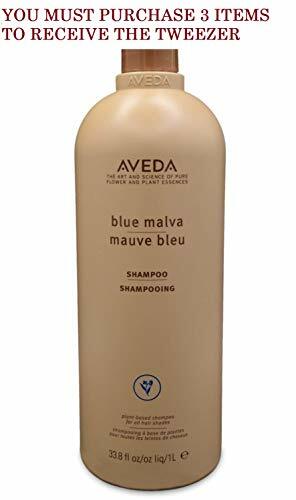 This shampoo neutralizes brassy tones in your hair and makes it cleaner and fresher. The best thing about this tinted product is that it isn’t mind-boggling expensive and provides remarkable results if you have stubborn brassy hair strands. With the addition of this shampoo to your hair care routine, you won’t experience hair damage or breakage which is a common after-effect of hair dye. Use it with its conditioner, which will help nourish the hair with vitamin hair oil. By the end of your hair wash, your beautiful brown locks will be soft and vibrant. Are you one of those women who just got a pleasant brown hair dye and now see warm orange toned hair strands? If yes, then fret not. Over time, it is natural for the hair color to lose its vibrancy and change into some weird hue. 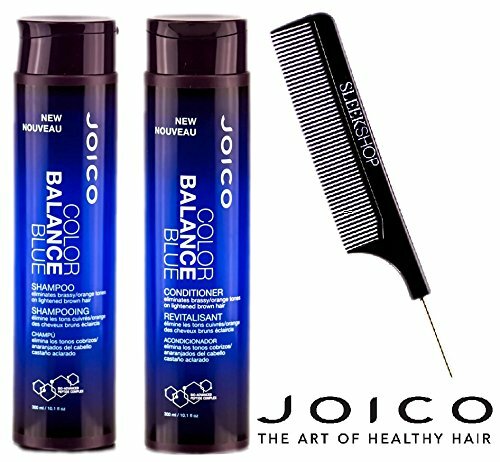 The best you can do to avoid this situation is using highly-pigmented Joico Color Balance Blue Shampoo as it helps you get rid of warm orange tones effectively. It also claims to preserve 89% of your hair color for almost two months! Isn’t it terrific? This organic shampoo not only helps neutralize brassy tones but it thoroughly cleanses the scalp and hair; resulting in soft and hydrated locks. This aromatic shampoo also contains essences of lemon, natural ylang-ylang, eucalyptus, and other beneficial flowers and plants that give your hair a pleasant fragrance. your hair healthy and glossy. But bear in mind that the product takes time to show its promised result so patience is the key! It is one of those shampoos that is ideal for both blonde and brunette ladies. If you see signs of your hair dye fading away, it is about time to start using Oligo Blacklight Blue Shampoo. Its frequent application will make your hair appear cleaner and vivacious. 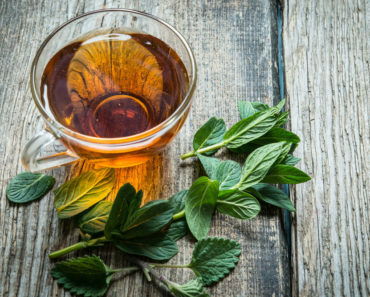 Did you know that it is packed with 11 amino acids and argan oil? Due to these nutritious ingredients, this shampoo is able to hydrate and strengthen the hair by repairing opened cuticles. All of this results in the shinier-than-diamonds hair that retains the brighter hue for weeks or, in some cases, months. Fake brunettes often have to deal with dry, lifeless hair which usually happens due to hair coloring. The excessive use of chemicals and heating tools lead to hair fall and split ends, making your otherwise pretty brown hair ugly-looking. If you are going through the same situation, Celeb Luxury Viral Hydrating Shampoo is an ideal choice for you. This sulfate-free shampoo does three things –cleanses your hair, conditions, and hydrates it. You can also use it to maintain your pretty brown hair color. If you want to jazz things up a bit, Celeb Luxury Viral Extreme Blue Colorwash will be a bold choice. It will tone down the brass and add a deep blue shade to your darker brown hair. 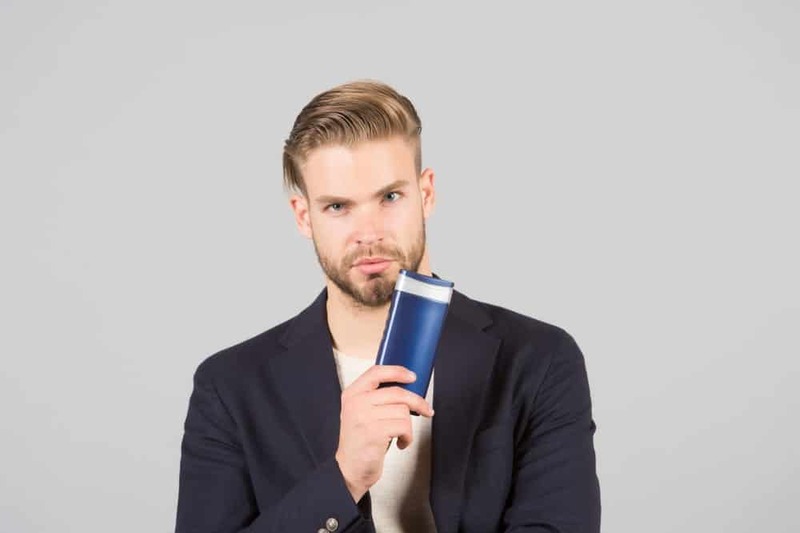 This blue hair product is widely known for its good-for-your-hair ingredients such as blue lotus, honeysuckle berry, kale, and blue minerals. 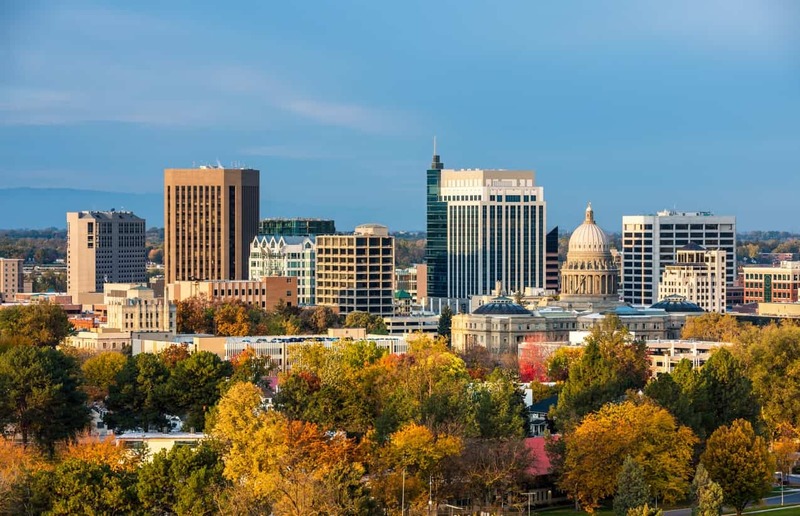 These are the nutritive ingredients that excellent-quality hair supplements typically contain such as the all-time famous SugarBear hair vitamins. If you are not into consuming supplements, this blue product is a great alternative. The exotic formulation of this shampoo will make your hair super silky and smooth. But most importantly, it will eliminate the brassy texture in just a few washes. 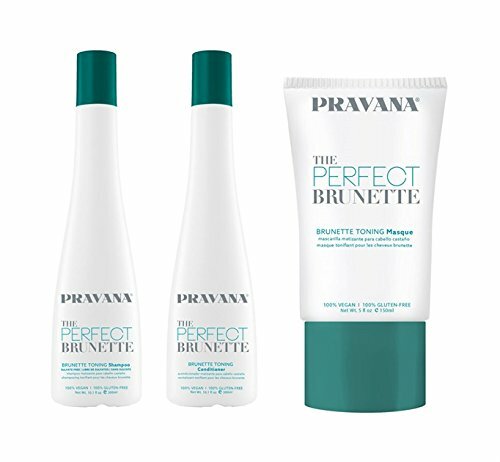 This color-treated shampoo is specifically designed by an award-winning salon professional Daniel Galvin Jr to naturally enhance all kinds of brunette hair. This organic shampoo boasts a special blend of natural essential oils that darken your brown hair naturally and makes it richer and lustrous. Rest assured, this product doesn’t have any harmful side-effects as most of its ingredients are natural. Organic Head Brunette shampoo is affordable and highly effective as it nourishes the hair from roots to its tips. Due to the addition of sea salt and organic aloe vera, the product heavily moisturizes the dry scalp. Another great Joico shampoo for brunettes is none other than Joico Color Infuse Brown Shampoo. The freshly dyed brown hair looks utterly gorgeous, especially when you flaunt under the sunlight, giving a sneak peek to your stunning honey-gold strands. But the problem starts when the beauty of your brown hair starts to disappears due to brassiness. This is precisely the moment when Joico Color Infuse Brown Shampoo comes to the rescue. This miraculous shampoo amplifies the highlights by illuminating the brown shade naturally. The icing on the cake is that it lessens your hair from getting damaged by hydrating it thoroughly and lending it radiance of your dream. To ensure that you achieve the desired result, shampoo your hair with Color Infuse Brown every other day. Once you have applied the shampoo to your hair, wait for a couple of minutes before rinsing for maximum shine. Do you want to intensify your brown hair quicker than ever? Go for John Frieda Brilliant Brunette Color Deepening Shampoo. After just one try, you will see a noticeable difference in your hair. Whether you use this effective shampoo once a day or twice a day, its primrose oil and cocoa will help deepen dark tones in no time. 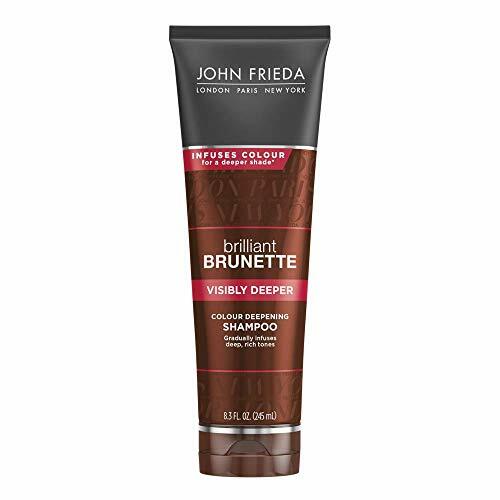 For a more effective result, it is best to use this product with John Frieda Brilliant Brunette Visibly Deeper Colour Deepening Conditioner and John Frieda Brilliant Brunette Visibly Deeper Colour Deepening Treatment. This blue shampoo is made with blue-green toning pigments that kick out red and orange tones from rich brown hair straight away. The secret behind its ability to strengthen and revitalize the hair is due to its wide range of superb ingredients such as coconut oil, jojoba oil, cocoa seed butter, soy protein, rosemary leaf, and cottonseed protein. What’s more is that it prevents hair loss and split ends. So all the brown brunette beauties out there, grab your favorite shampoo from this list and restore richness, lusciousness, and vibrancy to your hair right at home!